My bathroom is a bit of a disaster. My shower curtain is the most boring thing I’ve ever seen. I don’t have a bath mat and yes, I am guilty of having a bucket load of extra toilet paper just stacked on the windowsill. Frankly, it looks a mess. 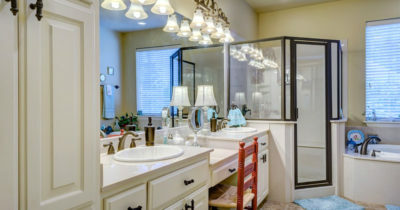 I decided to tackle my bathroom one job at a time and first thing on the list is a big declutter. Starting with that toilet paper. It has to go somewhere! 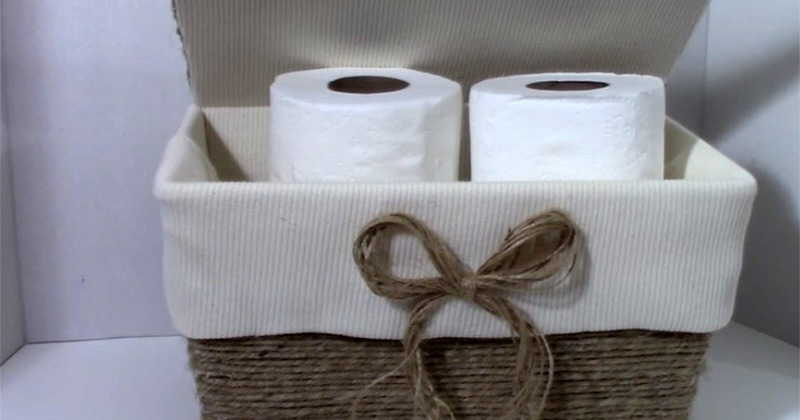 Here are 13 awesome ways to store your spare toilet paper no matter how big your bathroom is. 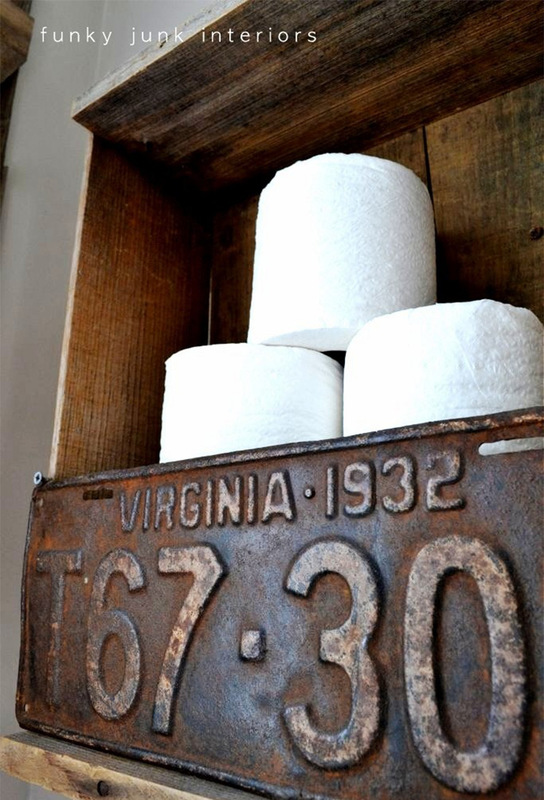 Who thought that a wooden crate and a license plate could look so stylish and so fitting in a bathroom? The best thing about this design is clear: what you see is what you get. It’s just a rusty old license plate nailed to a wooden crate. No finish, no mess, and absolutely no fuss. This will take you about five minutes to put together and will certainly transform the room. 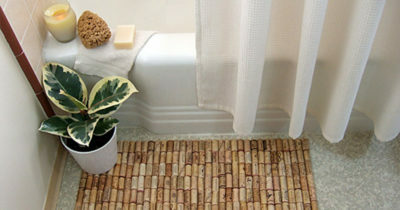 I love how simple designs can always make a huge impact in the bathroom. 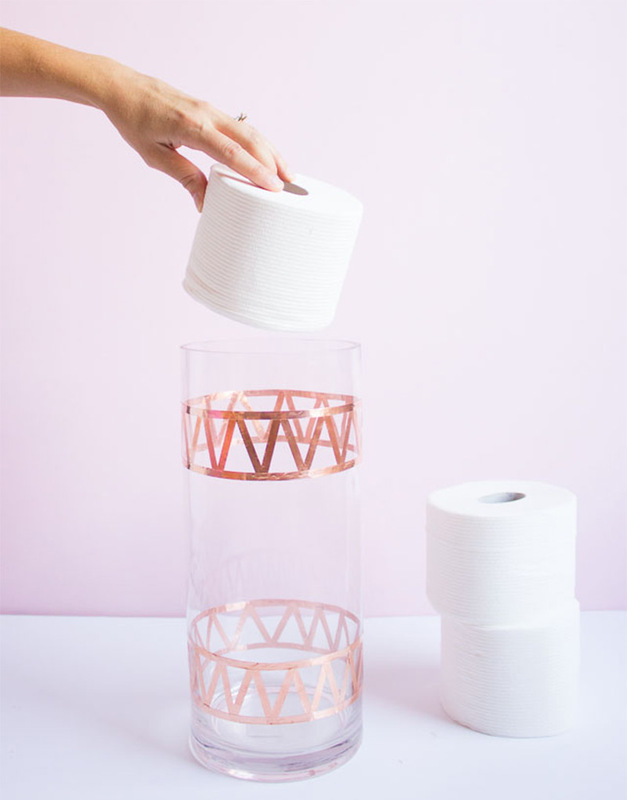 This toilet paper holder is made from a glass vase and some copper electrical tape. This is a great way to re-use that old vase collecting dust in the basement. Or, if you don’t have one, you can usually grab one from the thrift store on the cheap. I never thought a tin can could be transformed into something so practically useful. This is an ideal way to recycle and, if you’re anything like me, you go through heaps of these cans every week. So you won’t have to wait forever and a day to get going. This tutorial shows us that anything can work when decorating your cans. Fabric, napkins, whatever you have lying about. Although you will need to head to your local craft store to grab some primer and a bit of glue. Mandi shows us how to make great use of some wire baskets she picked up from TJ Maxx in her tutorial. You can purchase wire baskets like this in most home stores. I’ve seen them everywhere. Quick tip: try to get baskets that have straight sides rather than angled sides. This will stop the toilet paper falling out. All you need to do is drill a couple holes in the wall and hook the baskets onto some nails. You can even add decorations to the basket itself if you want to jazz it up a little. I’ve found yet another reason to love my Quaker oats. Not only are they the perfect breakfast, but you can transform the tube into the perfect holder for your toilet paper. This design is super easy to make. You’re just painting the tube! And I love metallic paint. It makes things look way more expensive than they are. You can then add stickers to personalize it a little more or even use an online printable stencil to create a more complex design. Having a family always presents challenges. Mandy’s challenge? Getting her kids to replace the toilet roll when it runs out. Apparently it is super difficult to change them using a traditional holder. So she came up with the perfect solution. A metal pipe she picked up from Home Depot. The rolls are simply placed on top of the pipe. No fiddly spring load holders. I do love the industrial look too. Super stylish. My favorite thing about fabric designs is that the choices are endless when it comes to your preferred style. You can find something to suit every home if you look long enough. 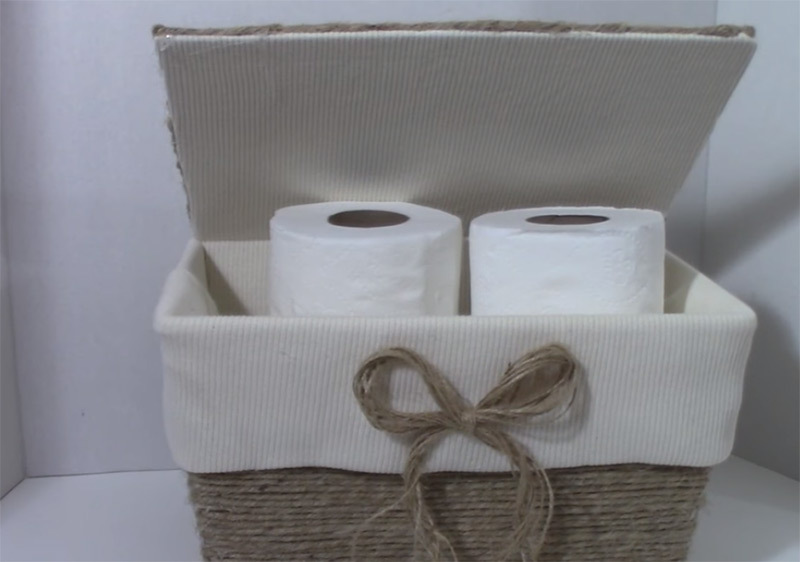 This fabric holder is really simple to make and very affordable. 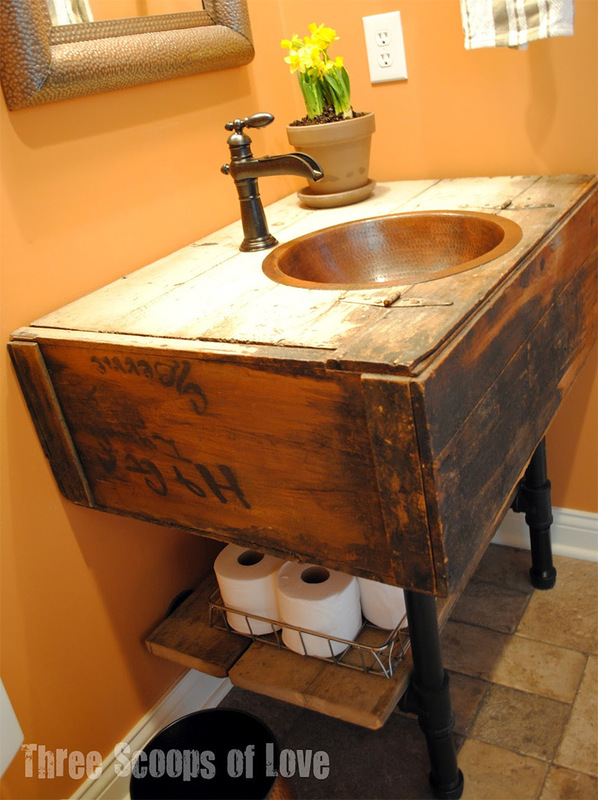 It’s also ideal for those who are seriously lacking storage space in their smaller bathroom. 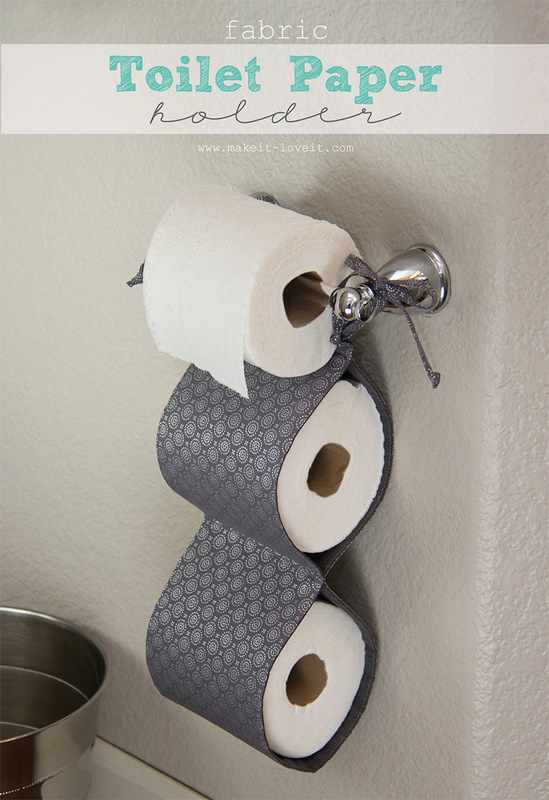 Simply measure around your toilet paper and cut the fabric to fit. 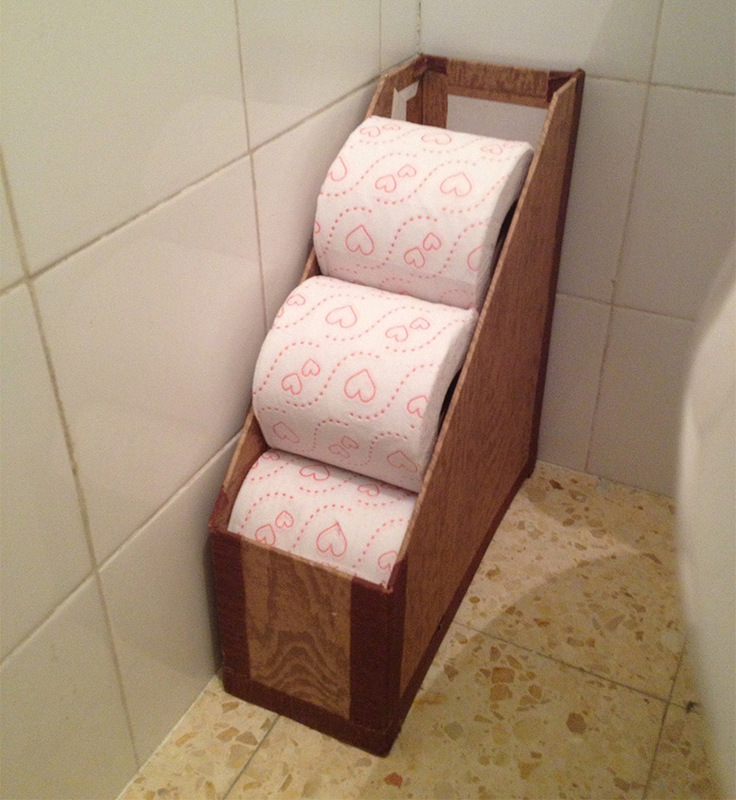 This spare toilet paper holder is super fancy and shows just how much you can achieve with tin cans and a bit of fabric. Jennifer chose to use burlap, but you can use pretty much any fabric you like. 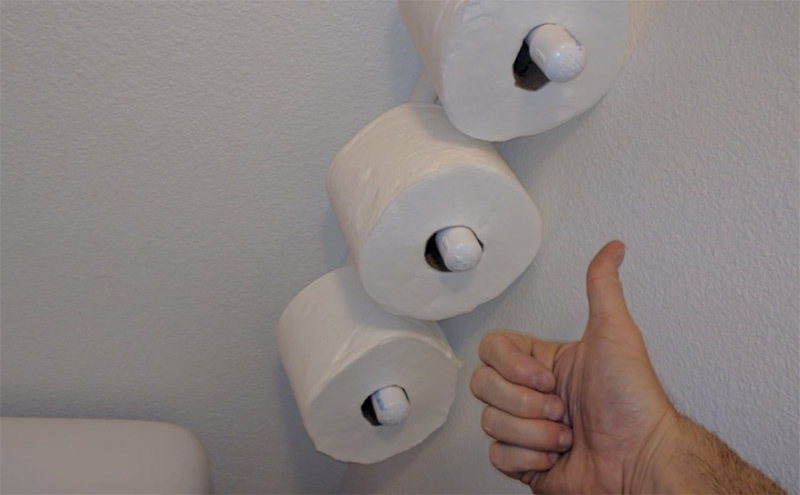 I also love the little door knob on top for easy access to those extra rolls. 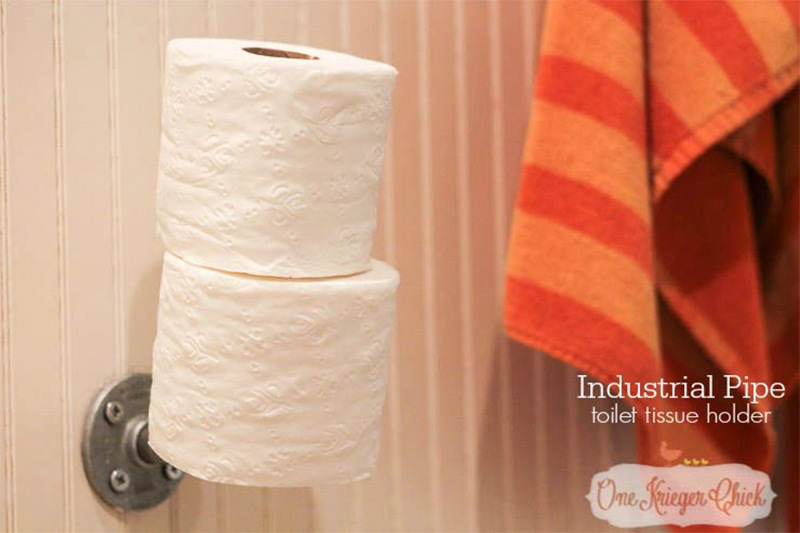 This pipe idea is another super simple way to store your extra rolls, and you don’t need to be the craftiest person in the world. Simply head down to your local home store and pick up some PVC pipe, put them together and attach to your wall. 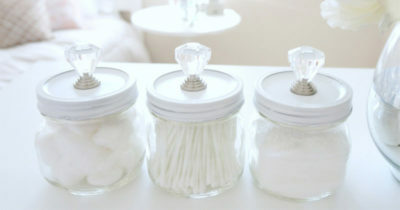 You’ll have cleared up that extra clutter in your bathroom in no time. I genuinely can’t believe this DIY design didn’t come straight out of a store. More importantly, I can’t believe how cheap it is to make. All the things you need for this can be sourced at your local dollar shop. Kelly got all her items to make this gem for less than six bucks. I totally need to give this one a try! Jamie got some serious DIY on with this beautiful vanity cabinet made from an old box she picked up at a garage sale. 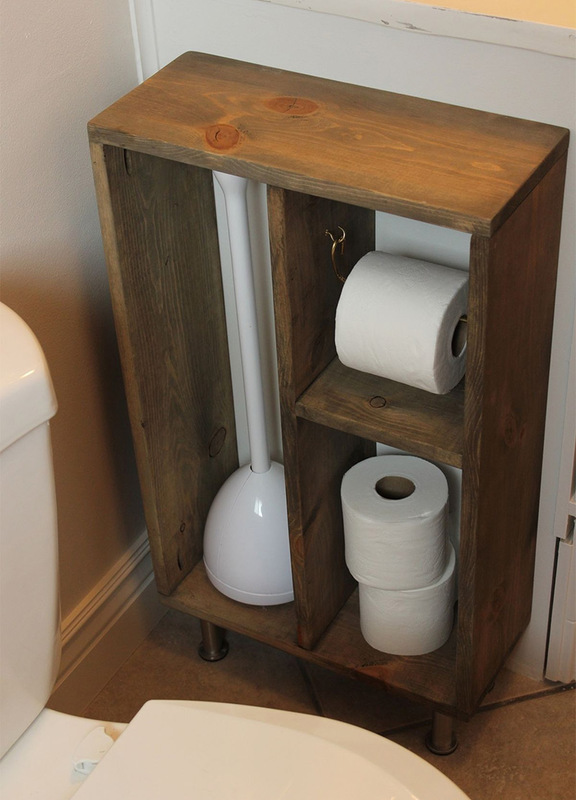 It’s ideal for storing all those bathroom essentials and the little wooden shelves underneath are perfect storage for those extra toilet paper rolls. 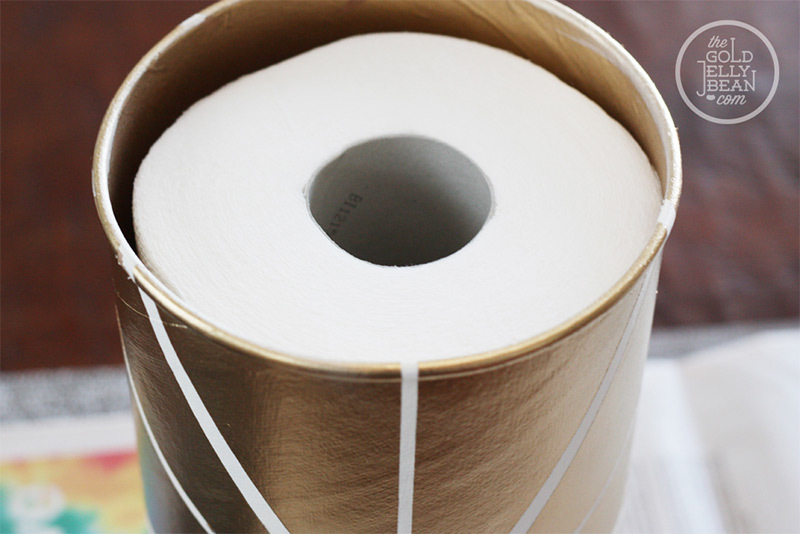 This simple brass wire toilet paper holder is perfect for you DIY newbies. And only takes around 15 minutes to make. All you need are a couple hooks, one piece of wire and some pliers. The brass look teams perfectly with some old wooden shelving and gives your bathroom a great vintage effect. I love magazine holders. Before I got into all my home/DIY hobbies, I genuinely never realized how versatile they can be. 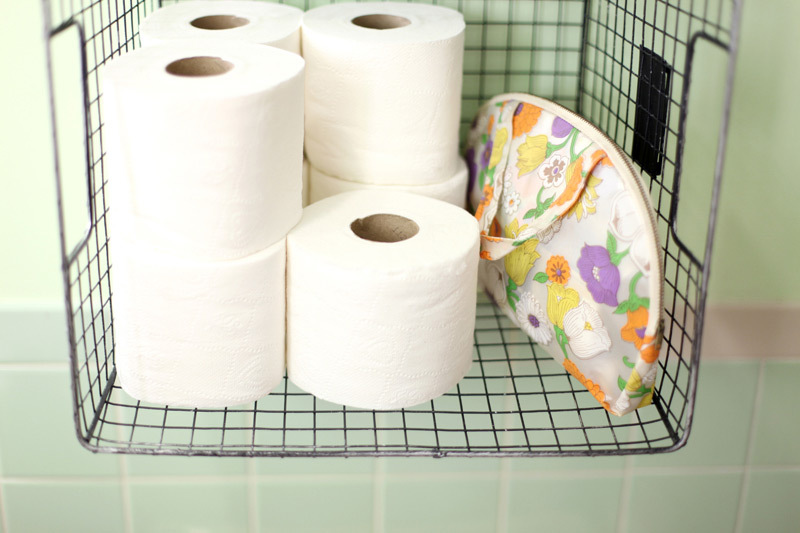 It turns out that magazine holders are a perfect way to store those extra rolls too. You can pick one up at your local Ikea or any other home store and then choose to decorate them however you want. Back them with some fabric or even spray paint them a metallic color. The options are endless. Note: couldn’t find the original source for this magazine rack TP holder but if you know the source please send us a message!